I just got this beautiful hand woven bracelet from Unistyle and I love it. It’s made of genuine leather straps. It has three bands on it, the top and bottom are braided and the middle has some very pretty beads on it. I love the colors of the beads, blue is my favorite color so I just love the color combinations on the beads. The leather is really well made and braided very tight. It’s not going to fall apart on you at all. You can adjust the size so it literally fits any size wrist. I have a wider wrist and it fits me comfortably. It’s very pretty and I have been wearing it with everything. I love the natural/country style of it. I also love that it comes in a very pretty gift box it even has a bow printed on the front so you can just order it and it’s already gift wrapped and ready for you to give as a gift, super convenient. 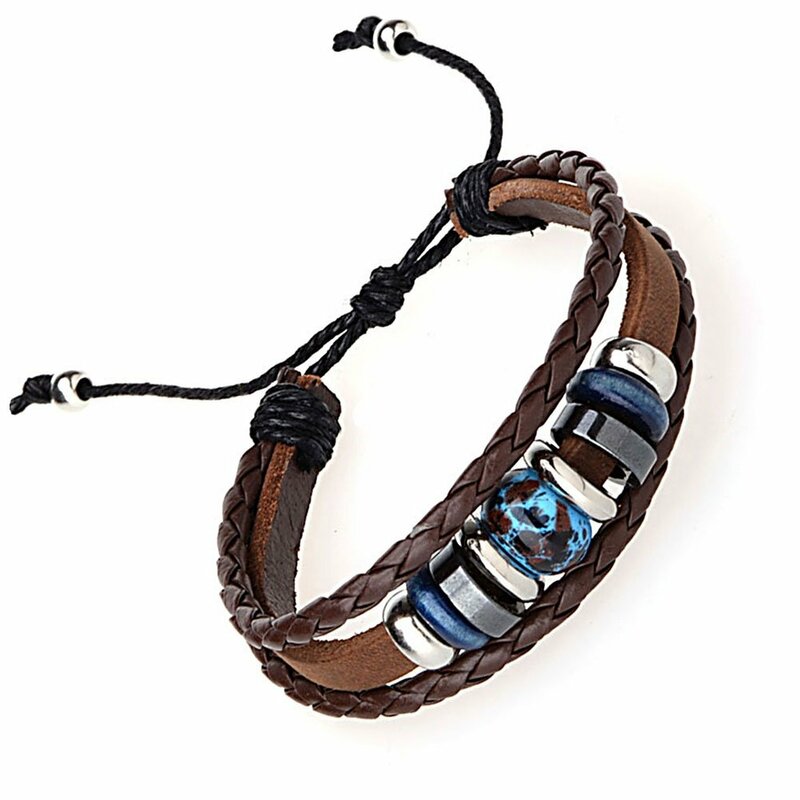 Genuine leather with beaded design. Packaging:Including one bracelet and a nice box printed “Unistyle” on it. You can purchase this bracelet on Amazon! Comment on this blog post to be entered in a giveaway to win one for yourself! What a beautiful and sturdy bracelet! Thank you for the opportunity! my granddaughter would love this. thanks.